Focus on the Family Canada presents Date Night: Clean Comedy for Couples this February! Give your marriage the well-deserved date night it needs! Enjoy a night of fun and laughter for you and your spouse with Matt Falk, Daren Streblow, Joey ILO and Timmy Boyle. Note: When you click on "BUY TICKETS," enter your access code first and then choose the "Focus on the Family - Special Pricing" ticket option. Calgary, AB - Feb 7, 7:30 p.m.
Edmonton, AB - Feb 9, 7:30 p.m.
Victoria, BC - Mar 15, 7:30 p.m.
Vancouver, BC - Feb 14, 7:30 p.m.
Abbotsford, BC - Feb 15, 7:30 p.m.
Winnipeg, MB - Feb 4, 7:30 p.m.
Winkler, MB - Feb 5, 7:00 p.m.
Brandon, MB - Feb 6, 7:30 p.m.
Barrie, ON - February 7, 7:30 p.m.
Ottawa, ON - February 8, 7:30 p.m.
Toronto, ON - February 9, 7:00 p.m.
Oshawa, ON - February 10, 6:00 p.m.
Newmarket, ON - February 10, 7:00 p.m.
St. Catherines, ON - February 11, 7:30 p.m.
Waterloo, ON - February 12, 7:30 p.m.
Peterborough, ON - February 13, 7:30 p.m.
Woodstock, ON - February 13, 7:30 p.m.
Brampton, ON - February 14, 7:30 p.m.
London, ON - Feb 15, 7:30 p.m.
Sudbury, ON - Feb 16, 7:00 p.m. Prince Albert, SK - Feb 21, 7:00 p.m.
Saskatoon, SK - Feb 22, 7:30 p.m.
Regina, SK - Feb 23, 7:30 p.m.
Tickets purchased in advance: $15 per person general admission, $25 gold circle/VIP. Matt Falk was called “Effortlessly Funny” by the CBC. 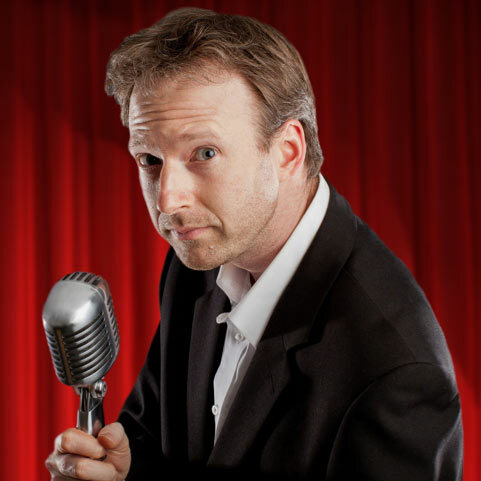 He’s performed at Just For Laughs, The Hal!fax Comedy Festival and the Winnipeg Comedy Festival. He was recently named one of the “Best of the Fest” at the Burbank Comedy Festival in California. His debut album, Apple Pie and Scars, is currently being played on Sirius XM and was named one of the Top 10 Comedy Albums the year of its release. Both of his comedy albums reached #1 on the iTunes comedy charts. He’s worked with Rob Schneider, Gilbert Gottfried, Dave Coulier and many more. Matt is one of the writers and stars of RocKids TV and the writer of over a dozen shows including the record-breaking dinner theatre play The Big BOOM Theory. His clean stand-up comedy act has gained him many accolades including placing second in The World Series of Comedy in Las Vegas. Daren Streblow’s unique style of observational stand-up comedy has been entertaining hundreds of thousands of people throughout the United States and around the world since he first stepped on the stage in 1995. Daren headlines churches, fundraisers, corporate functions and colleges all over North America. He’s a “humour opportunist” who is always looking for the comical side of life and how people live it. He takes topics that everyone can relate to and filters them through his unique lens where connecting A to B leads to a letter in the Greek alphabet or maybe salad dressing. With an offbeat style that has earned him the title “The King of Uncool,” Daren’s demeanour carries an audience along at an easy pace, and often take people by surprise with the intensity of their own laughter. He works hard to craft his humour in well-oiled routines that work magic with the audience and create a solid connection with them, often catering to their specific age, profession or background. Added to his love for stories, comical facial expressions and wild antics, you have a presentation that is both sophisticated and wacky, whimsical and thoughtful, and just plain fun to behold. To say that comedy is in Joey ILO’s blood wouldn’t be far from the truth. He was, after all, raised by honest-to-goodness clowns! Never a stranger to the stage, Joey started performing as a musician and songwriter when he was 11 years old. At age 26, he decided to follow in his parent’s (oversized) footsteps and begin a career in comedy. In his first year as a comedian, Joey was named the regional winner of the Sierra Mist Search for the Next Great Comic and appeared on NBC’s Last Comic Standing season 5. Joey’s a high energy comic who’s been touring coast to coast. His perspective and family experiences are as unique as his last name. Joey’s vision is to do a clean show so that anyone and everyone in the family can enjoy – not just a certain group of people. With comedic influences such as Bob Newhart and Jack Benny, Timmy strives for a "classic" experience. While rocking the suit and nursing a glass of orange juice, Timmy kicks it old school as he shares his hilarious perspective of himself and the world around him with a unique blend of casual storytelling and passionate commentary that has brought laughter to audiences across North America. Even before his 2009 launching of "Up Standing Comedy," Timmy had already been establishing himself as a comedic force while performing on multiple Canada-wide tours. Since then, he has taken his impeccable wit and laid back charm to churches, corporate functions, conferences, camps, schools and theatres while also establishing Canada's first clean comedy circuit. As an award winning writer, Timmy is a regular performer and workshop presenter at Faithwriters’ Conferences and in 2014 celebrated the release of his first book Inside Timmy's Mind. Most recently, Timmy was a featured performer on the Date Night Comedy Tour. Starting off at amateur nights, Leland decided right from the beginning that he would remain clean despite what everyone else was doing. As a result, over the last 16 years Leland has become recognized as Canada’s premier clean comedian. With his unique intelligence and wit Leland has carved out quite a niche for himself in the world of entertainment. Using his farm boy charm and handsome (although somewhat inbred) Mennonite good looks, Leland’s clever observations and rich life experiences are brought to life in a one of a kind show. Please direct all questions and comments to Fun and Faith as Focus on the Family Canada is sponsoring these events, but is not running the ticketing or operations of the event. Send questions to info@funandfaith.ca or call 519.342.6492 (email is preferred). *Comedians listed in each location are subject to change.